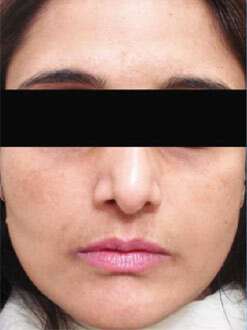 Best Melasma Treatment in Vasant Kunj | New Delhi. 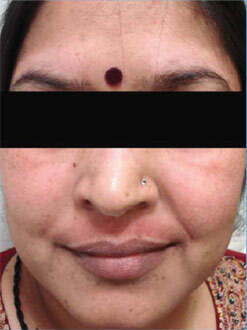 Melasma is a challenging complication for any dermatologist in Delhi to treat. It basically refers to a skin affliction where spots appear that are darker than normal skin on the face, neck, back, upper lips, nose and chin that refuse to go away with normal creams and lotion. There is no itching, pain or soreness except these dark spots which are not raised like keloids and they are also not raised. For cosmetic reasons, these spots can be a headache as it makes a person very self-conscious and he avoids public gatherings to avoid the stares from onlookers. Undue exposure to sun-rays is the prime reason but a biopsy is required to ascertain the full cause of the complication. Quite often a small sample of the skin is numbed and removed by delivering local anaesthesia to determine if it is not cancerous. Melasma also occurs during pregnancy and it often goes after a few weeks of delivery. 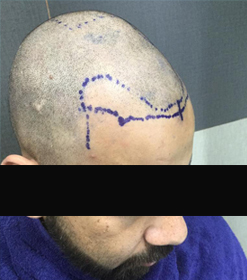 No treatment is necessary in such a case. Melasma is such a common affliction during pregnancy that it is also called as a “pregnancy mask” in the patient community. Complete cure of melasma is not yet found but there are treatments that will help you look beautiful inspite of it. 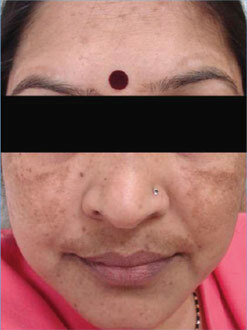 Melasma patches which may have light or dark brown to grey pigmentation especially in dark skin people living in tropical climes characterized by high heat. 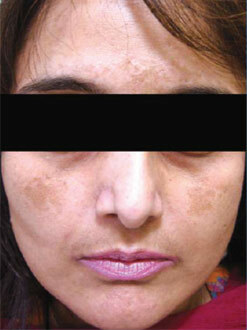 Symptoms of Melasma are less severe in winters as compared to summers. It is neither contagious nor life threatening. Melasma is not known to be caused due to genetic factors and neither passed on as heredity. Though, it may be possible that two siblings may have melasma while their parents may not have melasma. Any good dermatologist in Delhi will prescribe sun blocking creams to camouflage the skin against skin damage as the first line of treatment. Skin lightening agents will reduce the intensity of the pigmentation and bring it in line with the surrounding skin. Hydroquinone is a compound that is known to be a good skin lightening agent as it reduces the activity of the pigment forming cells. It should be strictly applied under medical supervision as it may cause irritation or increased darkening in dark skinned people. Since the basic cause of melasma is perceived to be a rise in oestrogen levels that is triggered by oral contraceptive pills /patches or hormone replacement medications. Going off these medications is the first step in getting rid of melasma. Chemical peels form the second line of attack when creams don’t work by removing the outermost areas of the skin that contain the excess pigment. Dermabrasion and laser treatments also remove the outer-most layers of the skin that have those defective pigment forming cells. 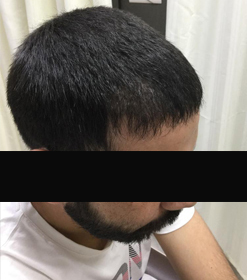 Whichever treatment you go for, it should be supervised by an expert dermatologist in Delhi as otherwise the side effects can be distressing if the procedure is carried by a doctor who is not yet an expert.